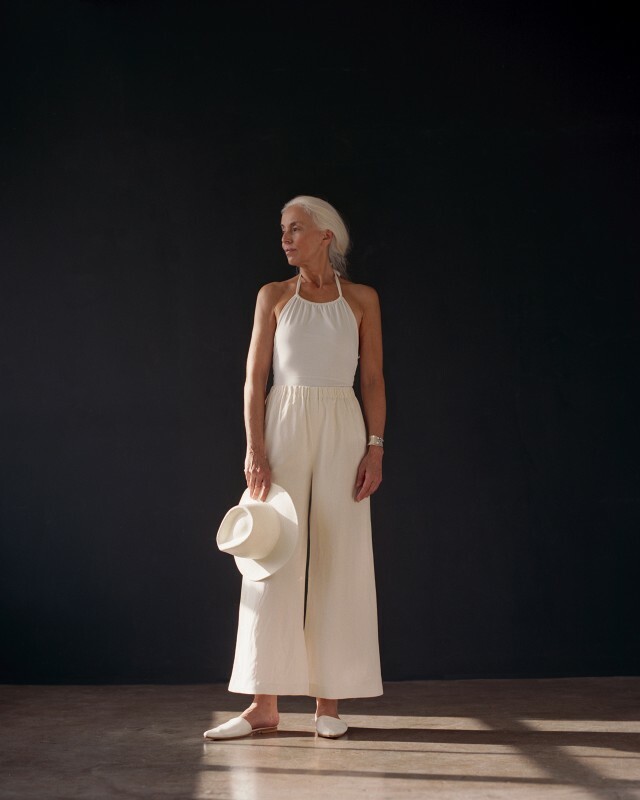 Yazemeenah Rossi, a 60-year-old model originally from France, now lives in Malibu has been killing it far back before our discovery. When models half her are already retiring, Rossi is still being tapped for major modelling gigs. And that’s to proof that what Kendall Jenner and Gigi Hadid can do, a 60-year-old can do, too. When we saw Yazemeenah Rossi slaying in a brand-new campaign for the swimwear collaboration between e-tailer The Dreslyn and lingerie brand Land of Women, we were more than excited for her modelling prowess — and admittedly, we couldn’t stop staring.